A Year of Being Here: Lawrence Ferlinghetti: "Recipe for Happiness in Khabarovsk or Anyplace"
Lawrence Ferlinghetti: "Recipe for Happiness in Khabarovsk or Anyplace"
"Recipe for Happiness in Khabarovsk or Anyplace" by Lawrence Ferlinghetti, from Endless Life: The Selected Poems. © New Directions, 1981. Thanks to Mark Palinski for suggesting this poem for our collection. 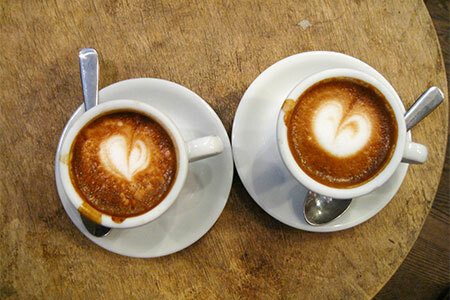 Art credit: "Joe the Art of Coffee—Two Macchiatos," photograph by Adam Goldberg.